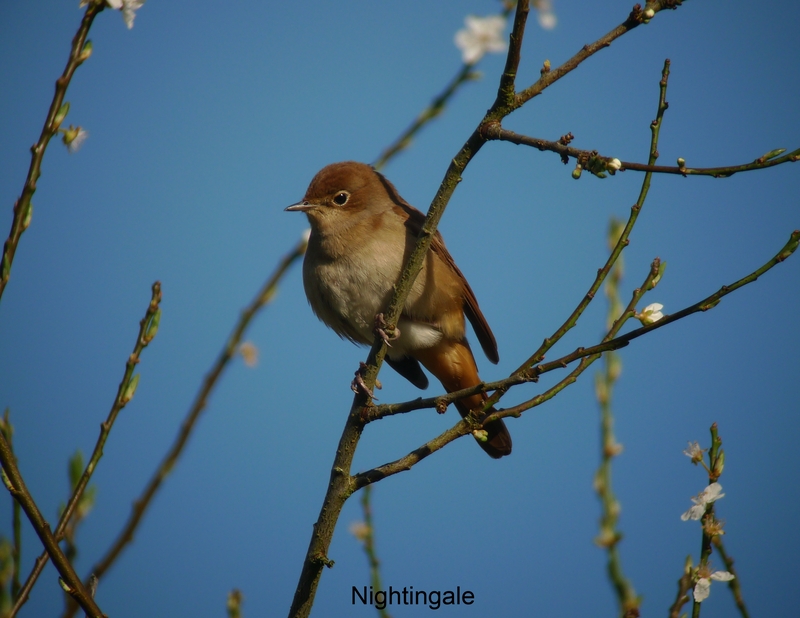 Little Paxton Nature Reserve must be one of the best places to see Nightingales in England. 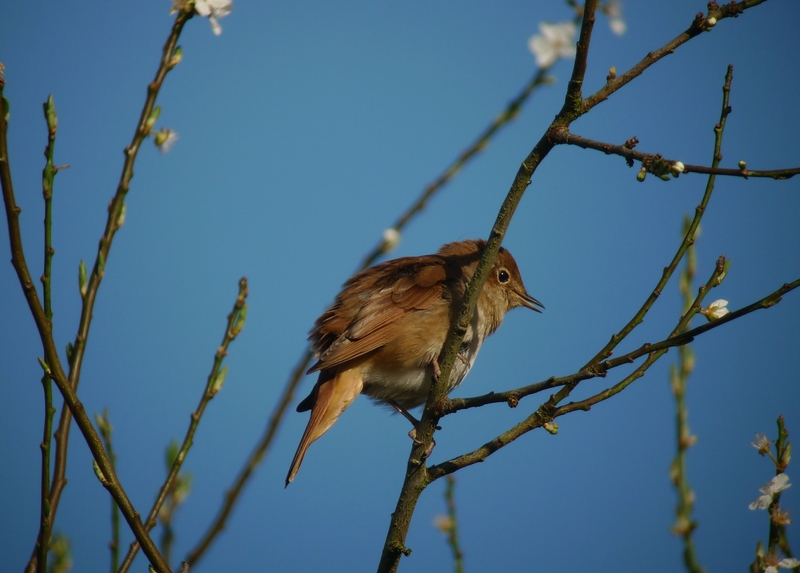 At least two performed very well this morning often singing right out in the open. Click on the links for video of one singing.